Dive into the exciting world of finding long forgotten treasures. Grab your metal detector and set off to explore the countryside. What today looks like a peaceful meadow might have been the scene of a fierce battle in the past, hiding now the valuable artefacts. Ready to dig in the past? The 4th part of the popular OMSI 2 download pack series supplies numerous service vehicles that every bus driver encounters daily. 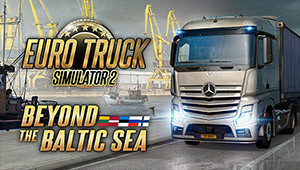 Beyond the Baltic Sea map expansion will include the three Baltic states of Latvia, Lithuania and Estonia, and also south of Finland and parts of Russia including Russia's second largest city Saint Petersburg. 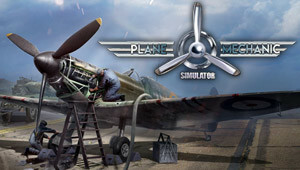 Plane Mechanic Simulator puts you in a role of an RAF ground crew technician at the start of the Battle of Britain. You will face various tasks ranging from simple refueling to engine repairs and gun harmonization. 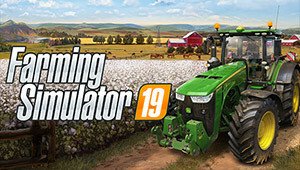 The best-selling franchise returns this year with a complete overhaul of the graphics engine, offering the most striking and immersive visuals and effects, along with the deepest and most complete farming experience ever. A New AI people pack is back for OMSI 2 and this time they bring new bus drivers! 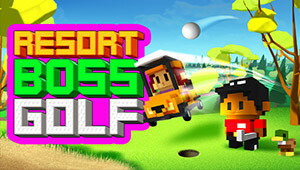 Unleash your inner tycoon and build your golf club from a one-hole course to a 5 star resort. Paint the land with luscious fairways, design world-class golf courses, host tournaments and manage staff to attract VIP golfers from all over the planet. Citizens unite! The race to take your place in space has begun. Surviving Mars: Space Race, the first major expansion from the survival management game Surviving Mars, is blasting off with a focus on mission sponsors and rival colonies. In the midst of a global population boom and catastrophic climate change, you have been appointed captain of Universal Space Station Inc. Your mission: deliver a sustainable solution to global starvation. Our future lies in your hands. You set sail as others return to dry land. Wind force 12. Breakers beat on the bow deck, spray blows across the bridge. On the high seas: face the sheer force of the elements! Volume 2: "U7 - Berlin" is the next release continuing the successful product series " World of Subways" introducing famous subway lines around the world to all subway enthusiasts. One of Germany’s oldest railway lines comes to life in the beautiful and picturesque Munich – Garmisch-Partenkirchen route for Train Simulator. A new milestone in simulation: Citybus Simulator Munich, the successor of the popular City Bus Simulator 2010 - New York, covering the complete 100 line also known as the museum line. Get the Titanfall Season Pass and extend the fight on the Frontier with three new content packs. Enjoy the charm of the 80s and 90s and find out how the period after the fall of the Berlin Wall was. And this all at wheel of a double-decker or articulated bus. Immerse yourself in a living, breathing universe where all your actions have consequences. Having chanced upon an invite to a wealthy socialite's holiday home, you find yourself in the Mediterranean exploring a luxury mansion by the sea and meeting an array of characters. Euro Truck Simulator 2 offers an unrivalled trucking experience with a massive amount of content that will keep you playing for many months or even years! More complete, fun and realistic than ever, the Hunting Challenge series has earned a reputation as the best hunting simulation for PC. Own more with the Battlefield 3 Premium Edition! This is the ultimate Battlefield 3 experience for everyone from first-time players to experienced Battlefield vets. The Ship Simulator Extremes Collection is the most complete Ship Simulator experience to date. Including the acclaimed Ship Simulator Extremes game and all available add-on and DLC content. The London to Brighton Expansion Pack recreates the whole 50 miles from London Victoria to Brighton and includes the Class 377 Electrostar.